LG has joined the ranks of Acer, Asus, and Lenovo, announcing its first Ultrabooks ahead of CES. Apart from the two Ultrabooks – LG Z330 and Z430 – LG has also announced two other laptops, the LG P535 and A540, as well as a new 3D all-in-one, the LG V300. All the devices are expected to start shipping by the first quarter of the year. According to LG, the 13-inch LG Z330 is a “Super Ultrabook that Outshines Ordinary Ultrabooks.” It comes with a second generation Intel Core i7 processor onboard, requires less than 10 seconds to complete booting, switches on from standby in two seconds, and comes with a SATA III SSD drive. It has a uniform slimness of 14.7mm throughout, and weighs 1.21 kg. Its 13.3-inch display has been made to fit in a 12-inch chassis. The 14-inch LG Z430 apparently delivers “Ultimate Compactness and Performance in a 14-inch Super Ultrabook.” It is powered by the Intel Core i7 processor, comes with a choice of SSD and HDD up to 500GB, and features Super Speed Boot. The LG Z430 fits into a 19.9 mm thin chassis, and weighs in at 1.50 kg. 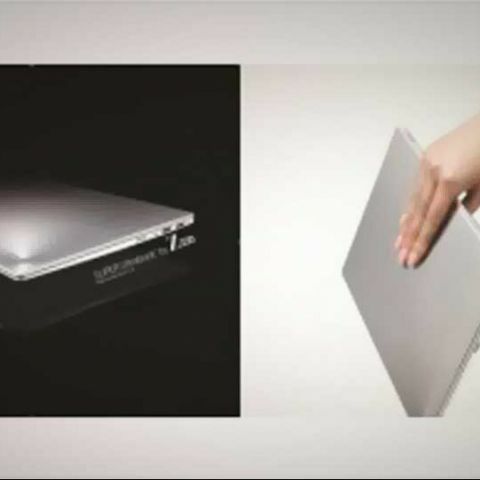 Its 14-inch display has been made to fit in a 13-inch chassis. The 15.6-inch LG P535 is said to incorporate “Superior 3D Capabilities in a Lightweight, Slim Notebook.” A CINEMA 3D notebook, the LG P535 has a second generation Intel Core i7 processor, a Nvidia GeForce GT 630M graphics card, and a super-widescreen display. It weighs in 2.2kg, and has a thickness of 24.1mm. The 15.6-inch LG A540 offers “Glasses-Free 3D Entertainment with Enhanced 4.1 Channel Sounds.” Powered by a second generation Intel Core i7 processor, it has a glasses-free 3D display panel, SRS premium sound effect, 4.1 channel 3D sound, Nvidia GT555M graphics card, as well as a 3D editing program that allows users to personalize their 3D images and videos. Finally, the LG V300, is apparently “LG's First All-in-One PC with Top-Line Display Technology.” Powered by a second generation Intel Core i7 processor, the LG V300 AIO has a 23-inch FPR 3D display requiring passive 3D glasses, and IPS technology with 178 degree viewing angles. It is also a touch AIO PC, featuring triple camera touch sensor system for a superior multi-touch experience. All In One PC under 35k?